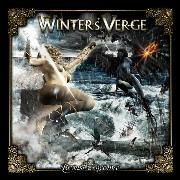 Cyprus metallers WINTER`S VERGE formed in 2004, and now release their third outing. I first came across them when they released “Eternal Damnation”, their label debut, in 2008. I was not the least impressed. Since then the band has changed drummers to Chris Ioannides and, in 2011, they toured with STRATOVARIUS. This time around they opt for heavier, groovier material with influences ranging from SYMPHONY X to PANTERA and RAGE. Opener “Cunning Lullabies” is nothing really fancy, but it´s quite alright. Instead the band shows relentlessness paired with melody in the excellent “Paper Is Blank”, which is followed by a string of songs nice refrains, suitable parts of growl, good arrangements, grooves, and even more neat refrains. The sound courtesy of R.D Liapakis and Christian Schmid is really good this time around. The power ballad “Threads of My Life” has guts without losing its caressing touch, and when I thought they had reached their limit they did even better. “Angels of Babylon” is a heavy metal classic, complete with a rather unique vocal effort and heaps of grooves. The epic closer “A Dream for a Dream” contains acoustic guitars, keys, a touching refrain and choirs. Say no more. WINTER`S VERGE returns with a vengeance big time. In difference to back in 2008 I strongly encourage you to check them out.